• Illuminated-key, 1 bi-color LED and 1 beeper for identification. 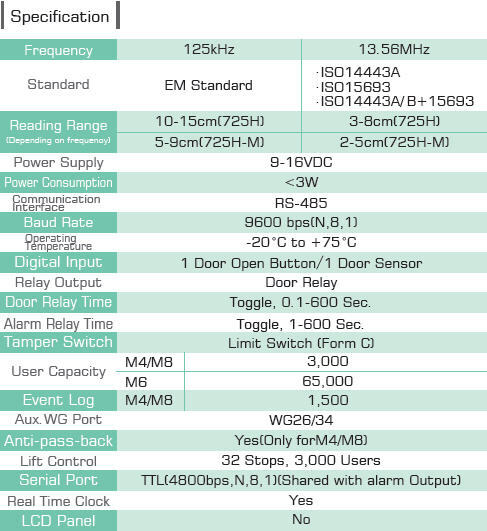 • TTL serial output for various application. 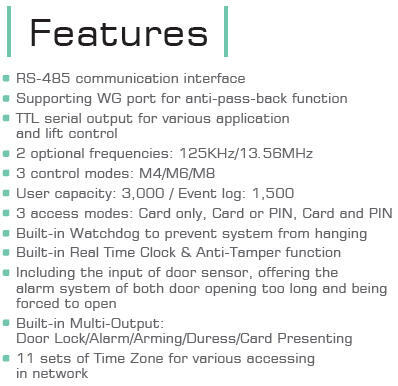 • Built-in watchdog to prevent the halting. • WG port support for anti-pass-back. • User capacity: 3,000, event logs: 1,500. 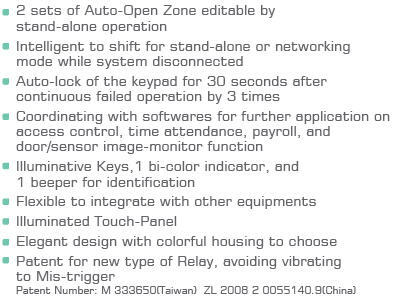 • 2 sets of auto-open zone editing in stand-alone. • 3 modes for selecting, M4, M6 and M8. 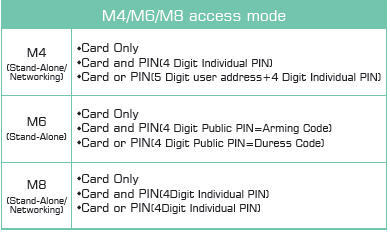 • 3 access modes: card only, card or pin, card and pin. • 11 sets of time zone for various accessing. • SOYAL software support for networking. 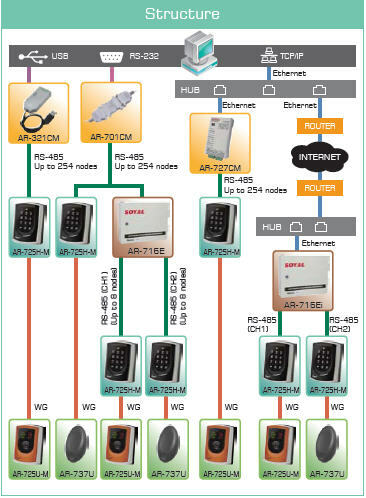 • Easily integrated with SOYAL or others access control system.